Natural sand with bacteria which can be used without washing! Amazonia is substrate material, rich in organic acid and nutrients, promoting the growth of aquatic plant roots. By combining with Power Sand, it becomes the ideal substrate for plants. Powder type is used for small size aquarium or for spreading lightly over the normal type Amazonia. Power Sand Basic takes over for Power Sand and is a combination of porous materials with organic nutrients and delayed-release inorganic nutrients. Plus its spiked with ADA’s Bacter 100, a substrate additive that has more than 100 kinds of bacteria, and Clear Super that helps the growth of microorganisms. aquasolum™ is a lightweight, porous substrate derived from humate. Humate contains most of the known trace elements necessary for development of plant life because in its original state, it was plant life. Organic humate enhances root development and promotes chelation, a process by which insoluble matter is gradually processed for plant utilization. As a result, humate contains valuable plant nutritional substances not found in chemical fertilizers. Additionally, its tendency to lower pH and soften water makes it ideal for keeping freshwater shrimp. Although it is pre-washed, it may become dusty in transit and require rinsing before use to remove any residual dust. To determine the number of bags required for your aquarium, please note that each bag (2 kg, 4.4 lbs) occupies a volume of approximately 1,630 cm3 (100 cu. in.). To determine your desired volume multiply tank width by length by desired depth. TIPS: When adding water to aquarium, fill slowly to avoid disturbing aquasolum™ bed. Place a bowl in the aquarium and add water directly to the bowl, allowing water to overflow softly on to the substrate bed. Initial cloudiness is normal. To remove cloudiness, use mechanical filtration (such as filter floss). Use Clarity® to accelerate clearing. ADA substrate additives are to be sprinkled on the bottom of the substrate layer, or on top of ADA Power Sand. These additives help to make a stable and healthy substrate in a newly freshwater planted aquarium setup. ADA Colorado Sand is a natural sand that is perfect for the Nature Aquarium. It has a beautiful, red colour that brings out the green of the plants, creating a stunning contrast. This is a truly beautiful sand that can be used to add an element of colour and contrast to your aquarium. The white bright-color grain with less than 3mm size stands out in a lighted aquarium. It is natural sand with natural color, suitable for cosmetic sand. It can also be used with Wabi-kusa and other purposes. Power Sand is the base of the Nature Aquarium substrate. Power Sand is composed of porous volcanic stones to secure proper water circulation and of organic materials including fertile peat to provide rich nutrients to aquatic plant roots. Ideal conditions for bacterial activity and development of plant roots are created and maintained for long periods with Power Sand. The growth of aqua plants like Echinodorus or Cryptocoryne, plants that absorb nutrients from its root, largely depends upon the amount of nutrients within the substrate. 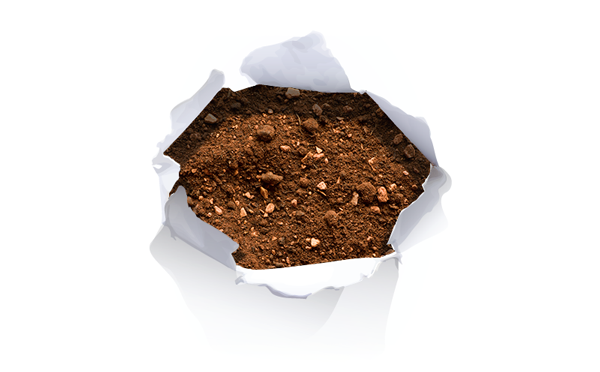 Unlike ordinary Power Sand, Power Sand Special provides more minerals and nutrients to the substrate, as it also contains Bacter 100 and Clear Super. Water circulation. A new substrate has a good circulation of water which carries oxygen to stimulate bacterial activity and the development of plant roots. This is the ideal condition of substrate, in order to establish a balanced ecosystem. After some time, however, various factors may cause problems in the substrate. Although problems would not appear at early stages, a substrate with only one kind of granule does not provide enough water circulation down to the bottom In a short time. Waste matters from plants and plant roots block the space between granules and obstruct the water circulation. Water pressure. Some time after setup, water pressure or calcium in the water hardens the substrate. At this time, water circulation within the substrate is obstructed and bacterial activity declines. Such a condition causes problems in root development and growth of aquatic plants. The mixed substrate with Power Sand at the bottom secures good water circulation due to the shape and size of the granules. Even when aquatic plants have been growing for long periods and waste matter accumulates, Power Sand composed of porous volcanic stones maintains proper water circulation. Silt gathers around plant roots and provides a good medium for bacterial colonization. Proper functions of bacteria, through their nitrifying processes, change ammonia to nitrogen compounds which are then consumed by aquatic plants through their roots. Oxygen- Sufficient supply of oxygen is vital for aerobic bacteria. Insufficient oxygen prompts the activity of anaerobic bacteria which produce toxic substances such as nitrous acid. Nutrients in Power Sand- Nutrients contained in Power Sand are slowly dissolved and absorbed by plant roots. Fertilizer in the substrate- Organic matter in Power Sand or other bottom fertilizers such as Multi Bottom or Iron Bottom, can be absorbed by aquatic plants, only when they are broken down to inorganic matter by bacteria. Fertile peat- Works effectively to stimulate the establishment of association between bacteria and aquatic plants. Use Power Sand Special "M" (medium size granule) for aquariums from 16 in. (40cm) to 24 in. (60cm) heights. Use Power Sand Advance "S" (small size granule) for aquariums up to 16 in. (40cm) heights. It is natural river gravel. Unlike sea gravel, you do not have to worry about hardness increase. There are 4 size variety, S, M, L, and LL. S size can also be used as substrate material like Oiso sand. M-LL size can be mixed together, and used for promoting riverbed aquascape. Use Power Sand Special "L" (medium size granule) for aquariums over 24 in. (60cm) heights. Use Power Sand "S" (small size granule) for aquariums up to 16 in. (40cm) heights. Yellow color tone Malaya creates an aquascape of natural atmosphere. Its soft granules are suitable for the aquarium layout for maintaining for a long period. A high pH level (alkaline) of the substrate causes difficulties for aquatic plants in consuming nutrients. The Aqua Soil Series decreases the hardness of the water and lowers the PH level to the degree at which most aquatic plants can consume nutrients and comfortably grow. Aqua Soil granules maintain their shape and density for long periods underwater securing good circulation of water and oxygen through the substrate. With Aqua Soil, growing difficult plants such as Tonina sp. becomes easier, and it is ideal for fishes demanding soft water. Of all the Aqua Soil types, including Amazonia II, Aqua Soil Amazonia receives our highest recommendation for best plant growth and long term management. Designed to create the image of Amazonia. Create an aquascape depicting the fertile South American rainforest with the dynamic alternation of rainy and dry seasons. Normal and Powder Type available. 1 bag (3L) for 1ft tank or when you just need a little extra Aqua Soil to achieve your desired depth. Of all the Aqua Soil types, including the old Amazonia I & Amazonia II, Aqua Soil NEW Amazonia receives our highest recommendation for best plant growth and long term management. Amazonia makes aquarium water a bit acidic. Aqua Soil lowers pH and KH, and makes an idealistic environment for plants and fish. New Amazonia contains rich organic acid and nitrogen level. Organic substances in the soil are effective for keeping shrimp in healthy condition. Its pebbles are hard to crumble. The humic acid helps the plant growth, and hard-to-crumble pebbles do not cause water coloring/cloudiness. Spreading A thin layer (approximately 1/2 in.) of Powder-type Aqua Soil over Normal-type Aqua Soil provides an attractive top layer. Using too much Powder-type (more than about 1 inch) can cause problems later on such as excessive "dust" when uprooting plants and/or restricted water circulation through the substrate. *No AMAZONIA II Powder type is available for AMAZONIA II. *Aquatic plants grow well with combining AMAZONIA II and Power Sand Advance.